Victoria loves to compete in dog sled races in Alaska with her great team of dogs, which includes Bean, her lead dog. After finding out that another man who races might be selling dogs, she takes off with her team to visit him, since her mother doesn't want to take her. She has trouble locating his house, and comes across a boy who has crashed his snowmobile into a tree and is injured. Chris has just moved to Alaska from Toronto, so knows nothing about surviving. Luckily,Victoria has learned from the best-- her supportive father, a trapper, who has passed away. She needs every bit of knowledge at her disposal to help her and Chris survive. They are lost, there is snow, and the supplies are running low. Every time they make some progress (finding a moose, happening upon a trapper's cabin), they have another set back. The two have an easy chemistry and various skills between them, but the wilderness is tough to fight, and they barely make it home alive. Strengths: This was an absolutely riveting tale of survival in the cold, and one which my survival readers will pick up avidly. There are so many good things-- the writing is crisp and evocative of the place and the feeling of being in the frozen wilderness. Ms. Johnson's experiences with dog sledding are very apparent. The details of sledding and of being prepared in the wilderness are fantastic, and the fact that even though Victoria is relatively prepared and yet still has difficulties is a great one to emphasize. Chris is also a great character, and one who grows up a lot during the course of the book. Victoria, too, comes to terms with her father's death and also the relationship with her mother in a natural and not boring way. I loved that Victoria saved Chris but Chris was able to sew snow boots for the dogs! This book show a lot of work and craftsmanship-- I've read so many things that needed more editing to know that this book was revised many times. Weaknesses: If anything, the start of the book and of Victoria's journey could have used a little more explanation, but that's a fine line-- it's also good to jump right into the survival part of the story so that readers don't get bored. February 1st 2014 by "21st Century"
Like Fourth Down and Inches, this is a great book to have for many reasons. It's that Common Core nonfiction piece to go with just about any soccer or football book, plus it will be eagerly read by sports enthusiasts who are interested in the topic. This had a very nice mix of anecdotes and medical information, which really helps liven the book up. At just under 100 pages, it's not too long, and I especially liked how it included traumatic brain injury suffered by military personnel, bicyclists (I ALWAYS wear my helmet!) and people who are injured in falls. Illustrations, resources and notes at the back make this a book that could also be used for research projects. This will be worth the $26 it will cost. The ICE DOGS cover is intriguing and along with your review made me want to go out and pick up a copy tomorrow. Thanks for featuring this tale of survival and one with a female protagonist,too. 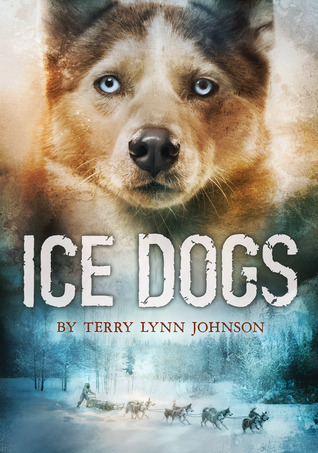 Ice Dogs sounds like a wonderful match for my "Hatchet"-loving kids - who can't get enough of the survival in the great outdoors against terrible odds books. Thanks for sharing this today! Brr? Boys Read Pink? Just that title gets me. Ice Dogs sounds amazing. I'm definitely going to check Ice Dogs out. I also plan on reading Connie Goldsmith's Traumatic Brain Injury book. Thanks for the review. I must have done something wrong. My comment disappeared. I am definitely going to check out Ice Dogs. It sounds great. 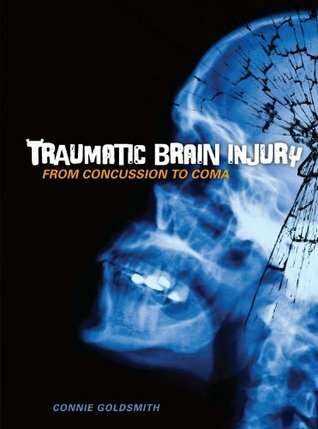 I also want to read Connie Goldsmith's Traumatic Brain Injury book. Thanks for the reviews. I love the Boys Read Pink initiative. Is it for Women's Month (March)? I also like that you included a list of other titles to check out. Will look into them. I am eager to read ICE DOGS! Thanks for the excellent review.